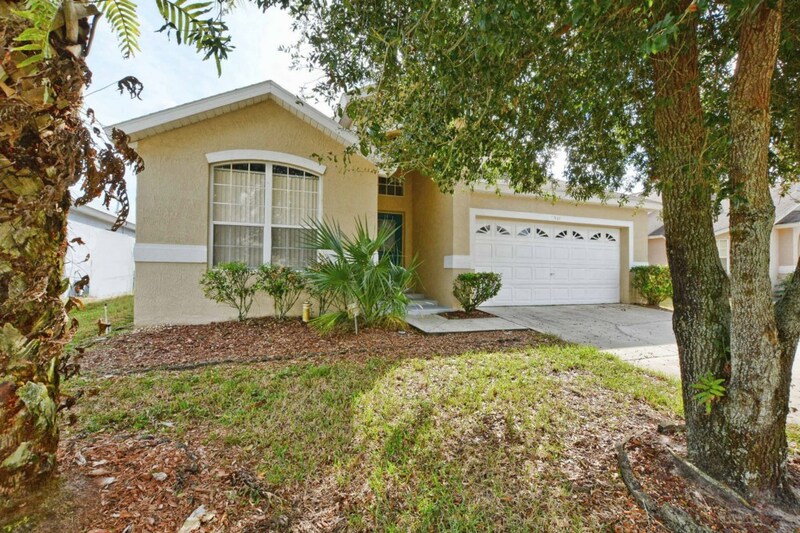 5 bedroom, 4 bathroom villa in the Indian Creek community. Owned by Matthew Choate. Ref: 3629. For privacy reasons, the marker on the map shows the Indian Creek community location and not actual villa location. Welcome to your beautiful home away from home! 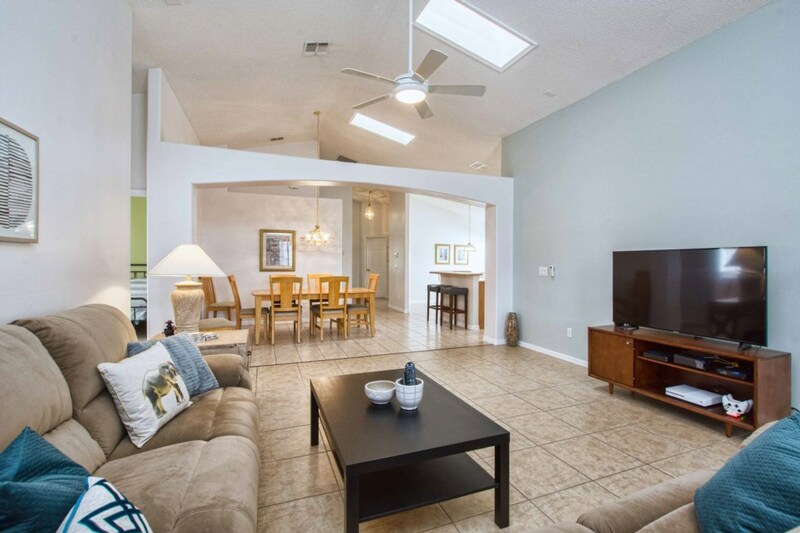 Recently under new ownership and located just three miles to the Disney properties, this lovely and spacious home is the perfect retreat for your family during all your theme park adventures! This modern-decor, one-story home has plenty of space for your family and friends. Five bedrooms sleep up to 10 guests, including two master bedrooms with ensuite baths and private entries to the lanai. Each master has a king size bed and flat screen tvs. The screened-in pool is newly resurfaced and southern-facing for maximum sun exposure! We can heat the pool & spa for you for an additional charge of $25 per day. Don’t miss the attached spa hot tub and plenty of lounge seating for when you just need to relax. Make yourself at home! We have a fully equipped kitchen, two spacious dining areas, and a large main living area equipped with a 55-inch HD TV and XBox gaming console. We also include free high-speed WiFi. Feel free to do laundry in our full-size washer and dryer. Plus dozens of local and chain restaurants less than 10 minutes from the house! The house has 4 full baths. The bathroom in master bedroom 1 has a large shower and a separate soaking tub. Plenty of bathrooms so there is less time wasted waiting! The house also has a high-chair and pack and play that are available for guests that need them. No need to lug your pack and play on your vacation! We provide bath and hand towels as well as wash cloths. Bed linens are also included. Our kitchen is fully equipped and also includes a Ninja blender, new toaster, coffee maker and water heater for tea. The pool area is oversized featuring a clean and well maintained paver surface. The pool and spa were completely resurfaced in November of 2018. We do not have a BBQ at our home but we can arrange a rental grill for $75 per week. We welcome large groups at our home but we expect our guests to be respectful of our neighbors. We require our guest to agree to outside quiet hours from 10:00pm to 9:00am. US$ prices quoted do not include 13.50% Sales and Tourist Tax. Our nightly rate is $150 per night. Pool/Spa heat is optional at $25 per day. Your enquiry will be sent to villa ref 3629 only. This page has been viewed 337 times since 22 Jan 2019.